We all know top rankings are the key to sky-high sales and profits on Amazon. So it is quite important to be on page 1 for your top keywords. You need to constantly know where your listings rank for their most important keywords so that you can take targeted action to maintain and improve them. Keyword tracking ensures that you don’t lose your sales for your top keywords. Tracking also helps you decide the right pricing and PPC strategy to gain top ranking for the keywords. By tracking your important keywords you can find out the search rank for each keyword and whether you are indexed or not for your keywords. Indexed means, whether or not your product gets displayed in the search results for an Amazon search for a specific keyword. Keyword Tracking is especially useful if your product is experiencing low search visibility and low click-through rates. You can start tracking keywords from three different tools. Entering keywords separated by a comma or a new line and to Track them. 2. 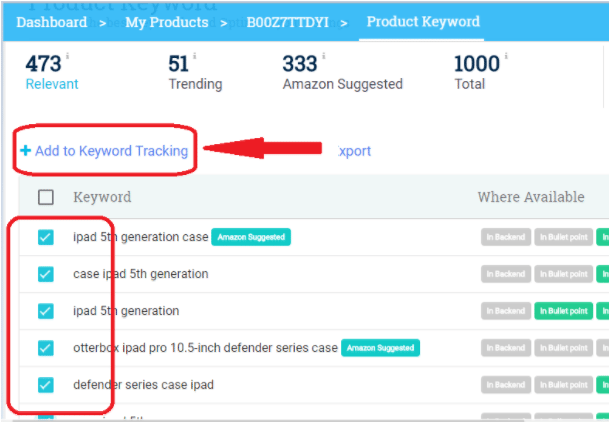 From the Product Keywords page, you can select the keywords and Add to Keyword Tracking. 3. While you are on the Keyword Research page, for finding new keywords for your product. Search Visibility is a metric that estimates the visibility of your product for a search in Amazon. The percentage estimate of the search visibility depends on its average rank across a set of keywords in Amazon. The calculation takes all the keywords that are tracked for the product into consideration and these keywords are queried in Amazon to see where the product is visible. Indexed Keywords are the ones that Amazon identifies to be relevant to your product and associates them with your product. It means, whenever a buyer searches a keyword that is indexed for your product, your product listing gets displayed in the search results. A keyword that is indexed for your product is either present on-page i.e. on the title/product description/bullet points or in your backend search terms. Once you start tracking keywords, you can also identify if the keywords are indexed by Amazon for your product. Additionally, for your backend search terms, you can also check out the Index Checker. Total Keywords – The total number of keywords that are tracked for the product. Non- indexed – The number of keywords that are not indexed by Amazon for your product. Non-indexed means Amazon does not associate your product with the keyword. If your product is not indexed for a keyword, a search with the particular keyword will not display your product in the search results. Indexed column indicates whether or not a keyword is indexed; Page Rank is the page in the Amazon search result where the product appears; Search Position is the exact position of the product on the Amazon search result page. 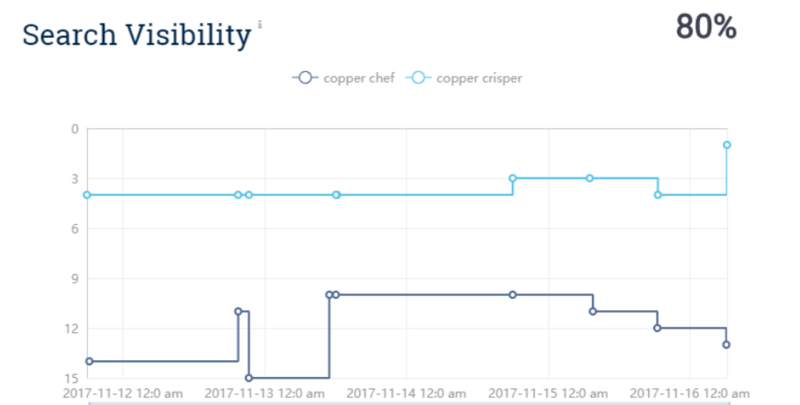 The arrow mark indicates improvement or decline in the product position from the most recent data update. You can analyze the keywords that are working towards bringing you sales. 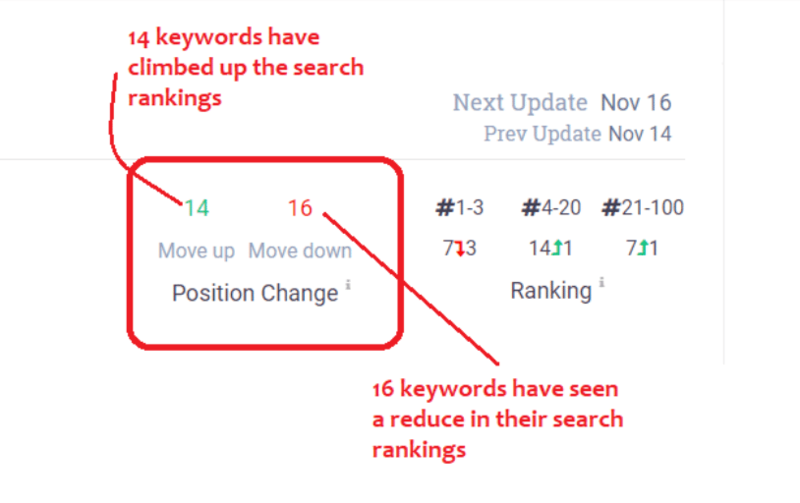 Understand keywords that are not working in your favor. Find new keywords from the Keyword Research tool or the Product Keywords that will bring you better search visibility. If you are tracking a competitor product, find keywords that are working the best for them. Try including the most relevant keywords in your product listing. 1. Optimize keywords in your product listing and focus on getting more sales and customer reviews to rank on page 1 gradually. 2. Head over to Amazon Keyword Research to get more profitable keywords for your product.